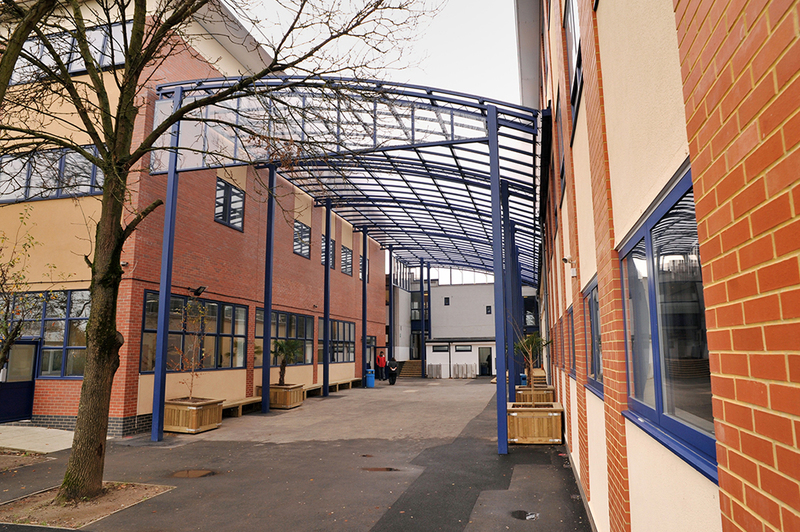 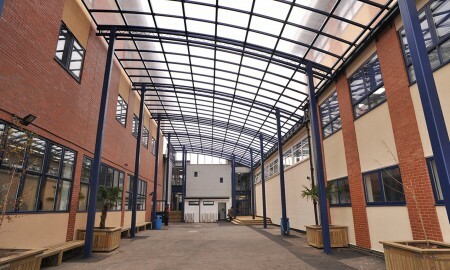 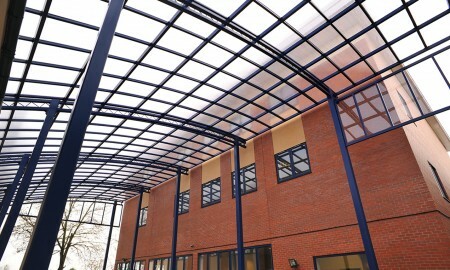 Working for ABA Chartered Surveyors the criteria here was to cover the existing courtyard at the school measuring 30m x 10m to form an external meeting/dining area. 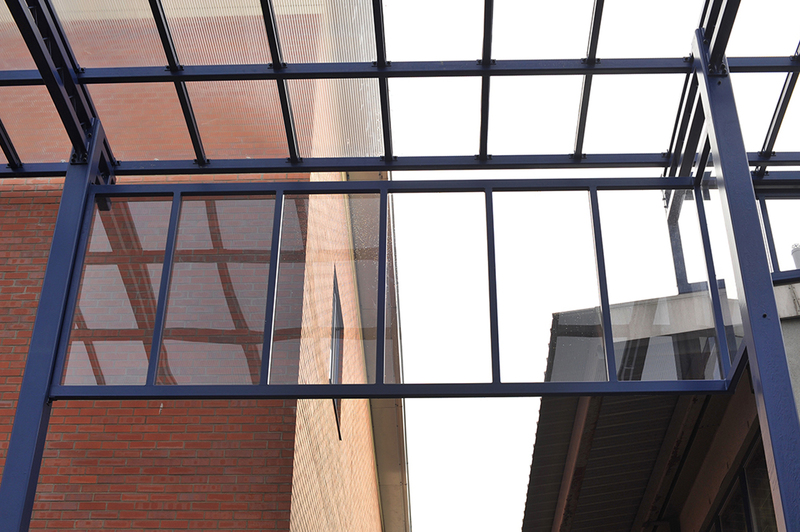 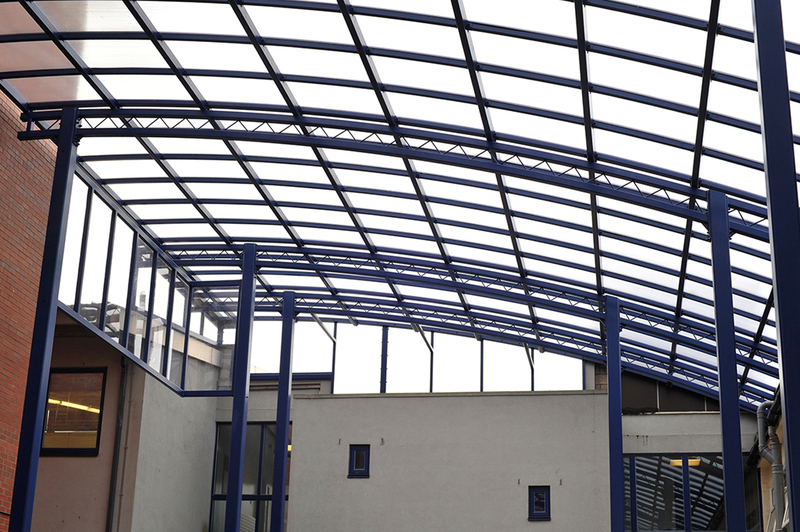 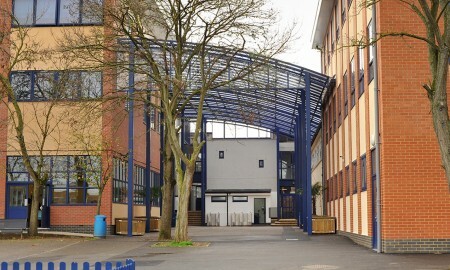 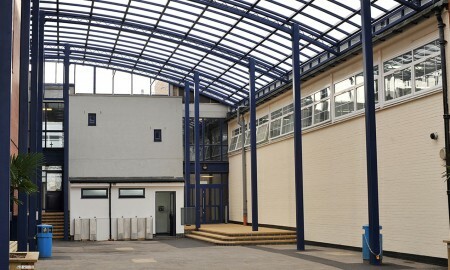 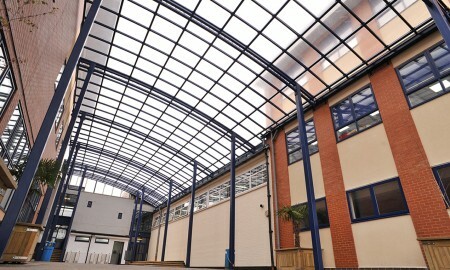 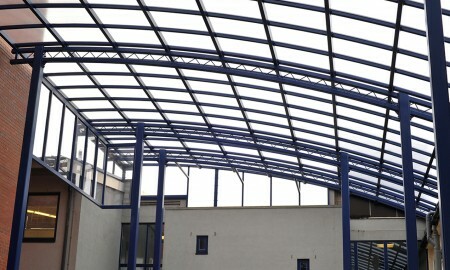 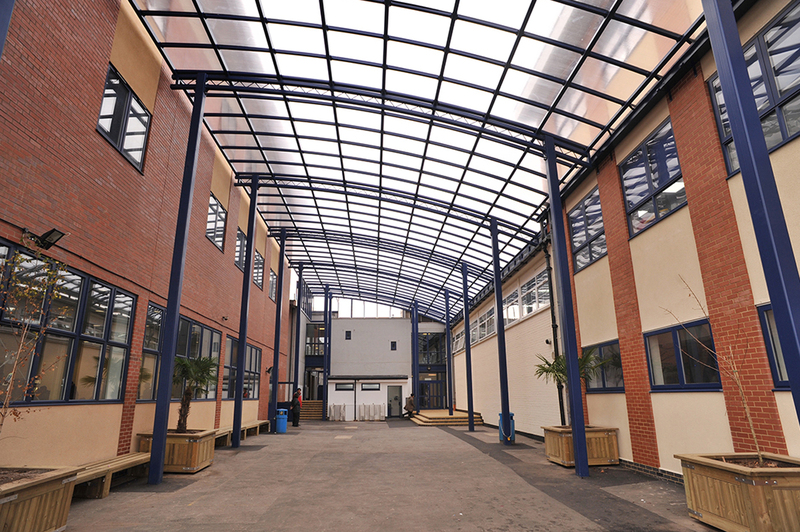 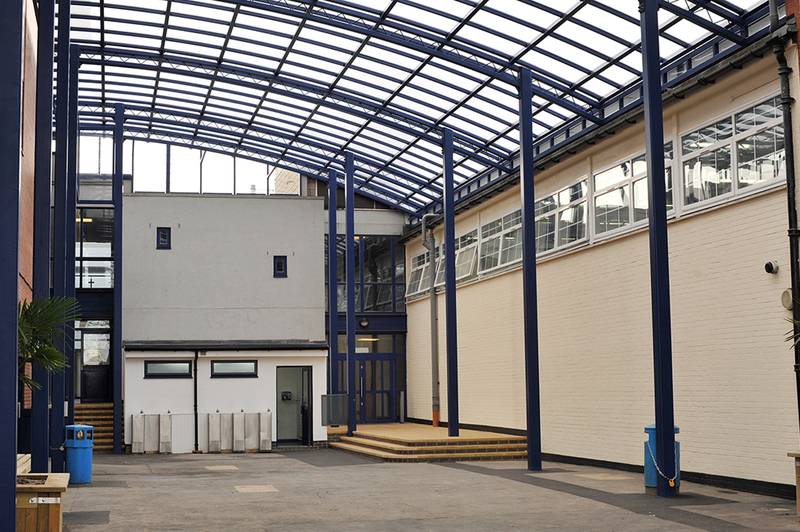 In conjunction with the architect, the schools vision was for a high level open space similar to an atrium and they required particular attention to the light transference and aesthetics of the roof material. 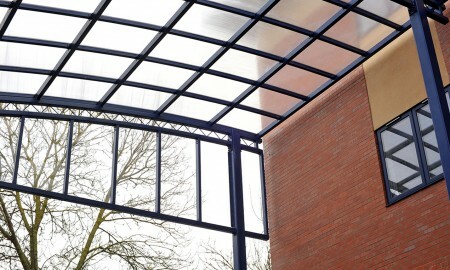 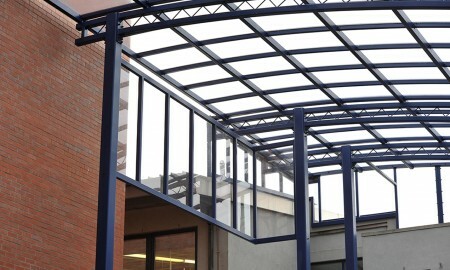 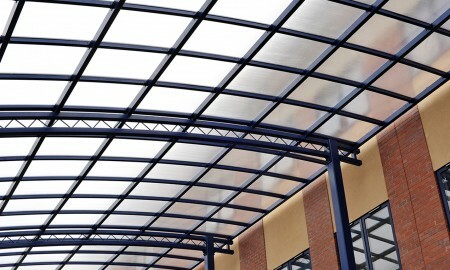 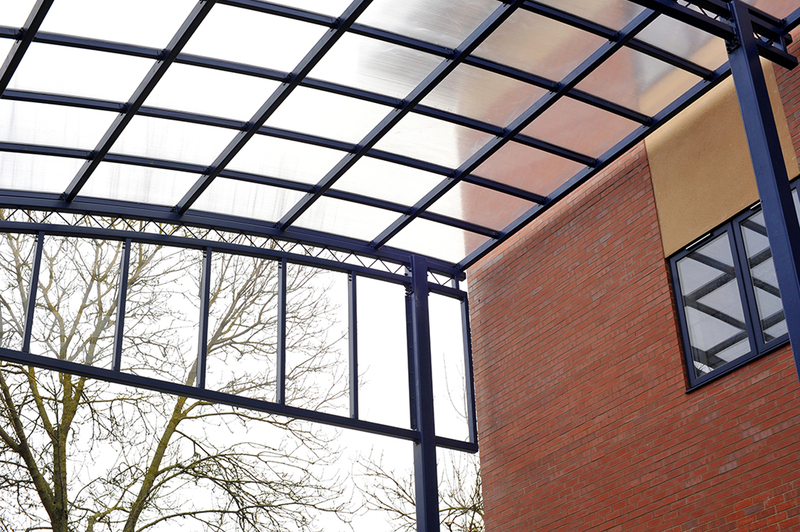 We completed an extensive design process and issued sample materials for many of the products to the architect. 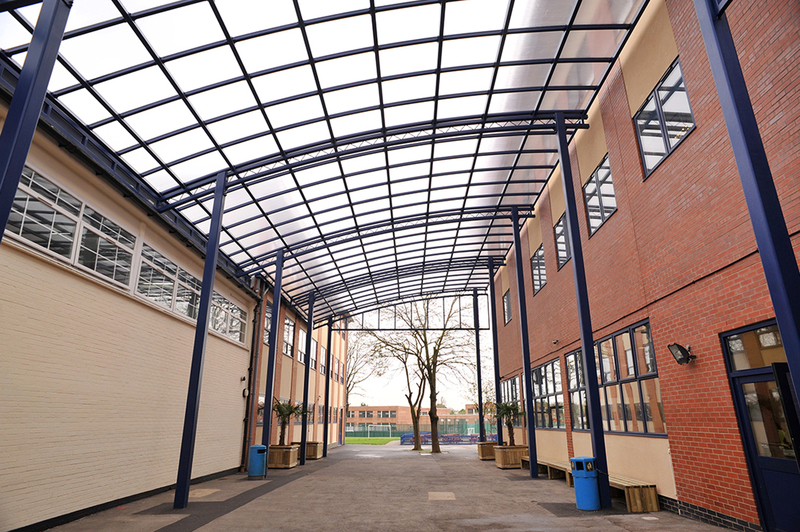 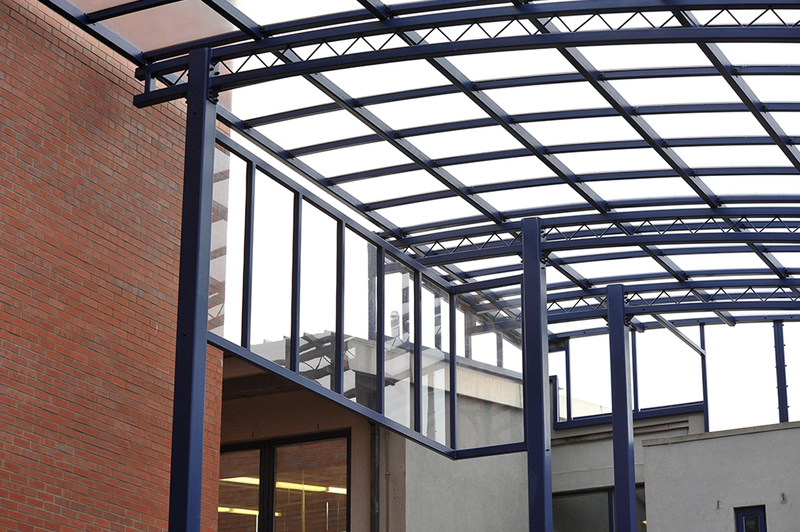 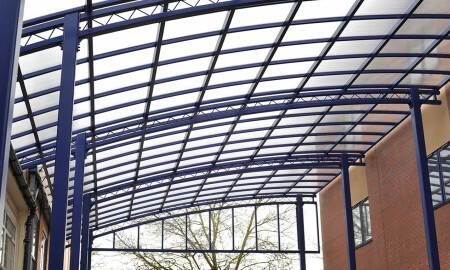 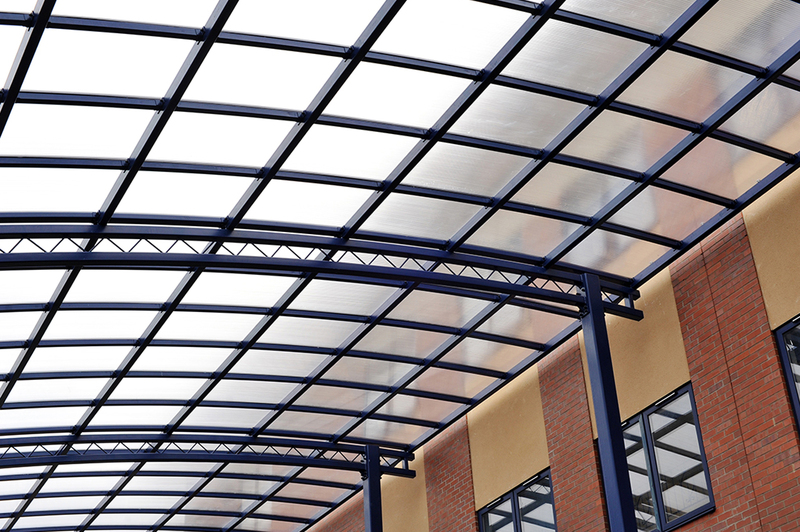 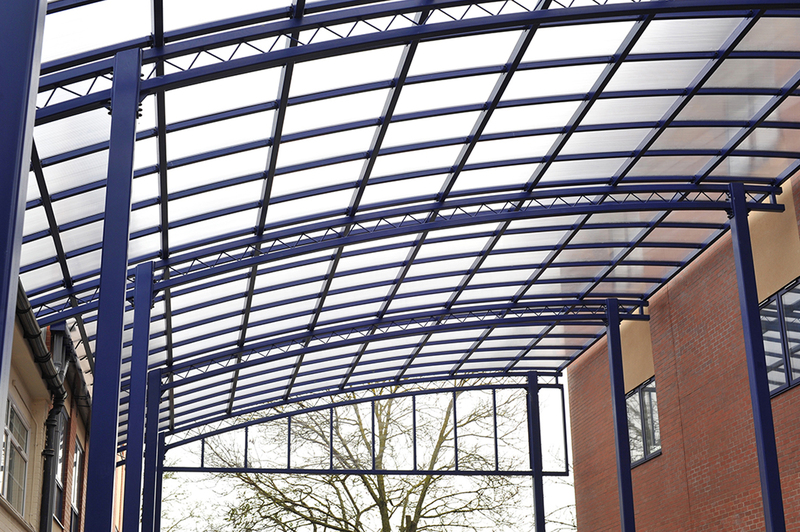 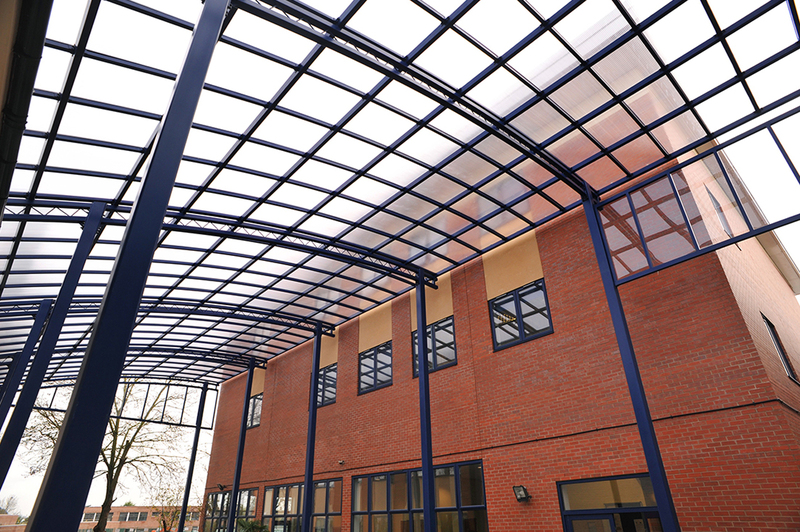 The final canopy design was issued at a height of 9m from ground level and required a large plant presence on site to complete the works. 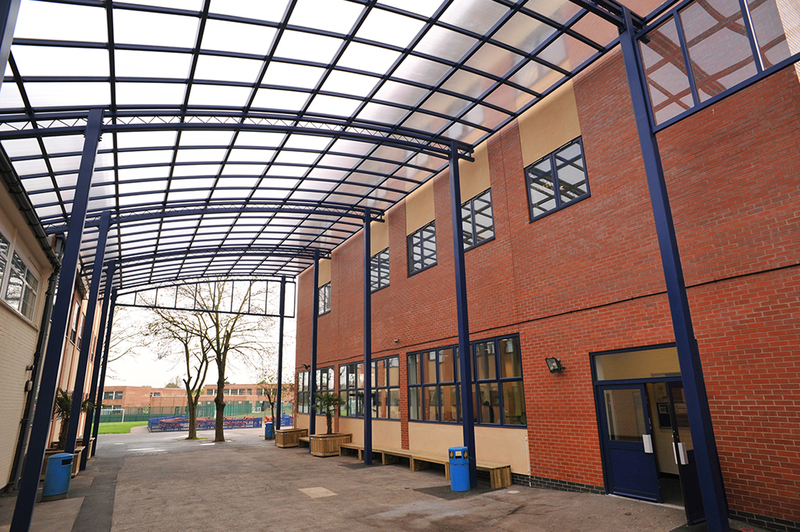 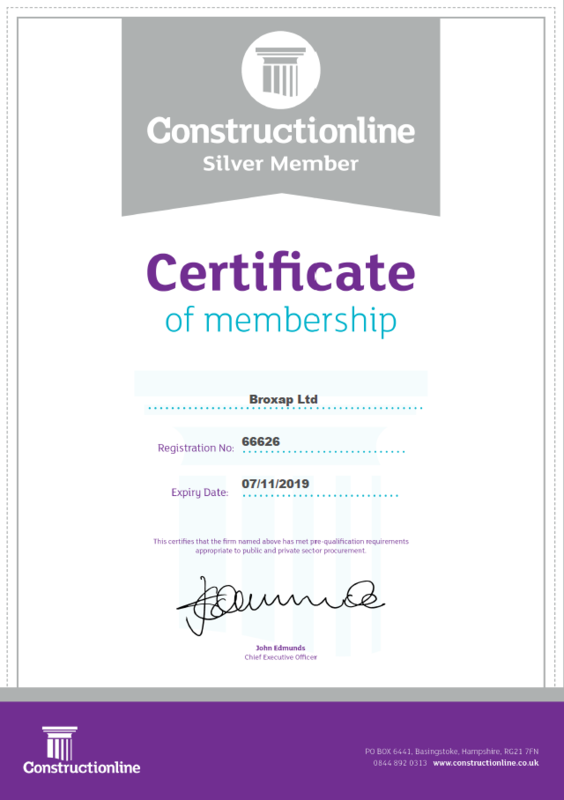 Broxap designed the shelter to be assembled at ground and lifted into position using cranes and lifting equipment that required upfront planning to be precise. 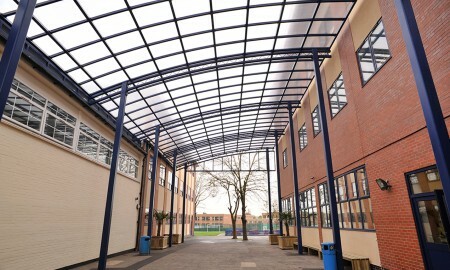 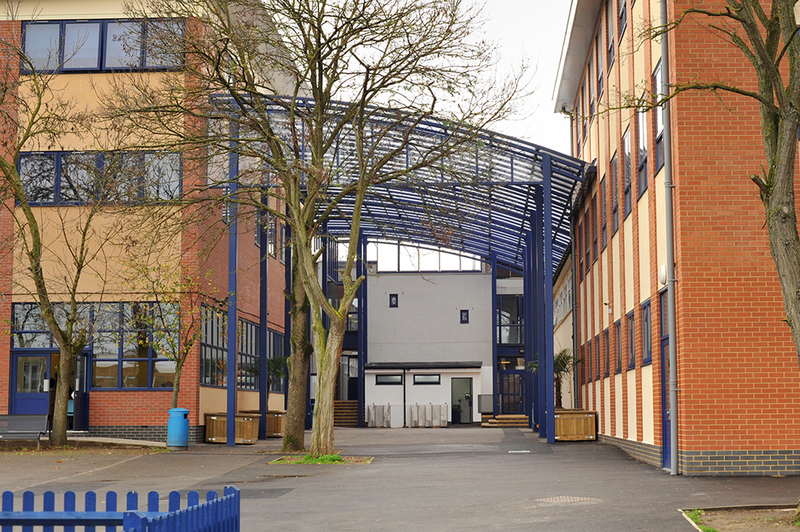 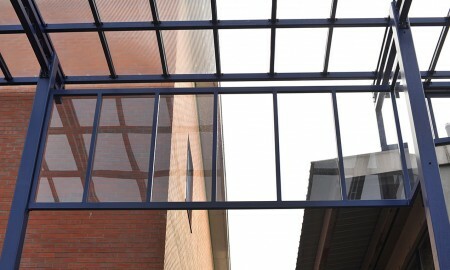 The materials were delivered to site on the exact day specified following a pre-installation meeting attended with the school and the overall project was completed ahead of schedule. 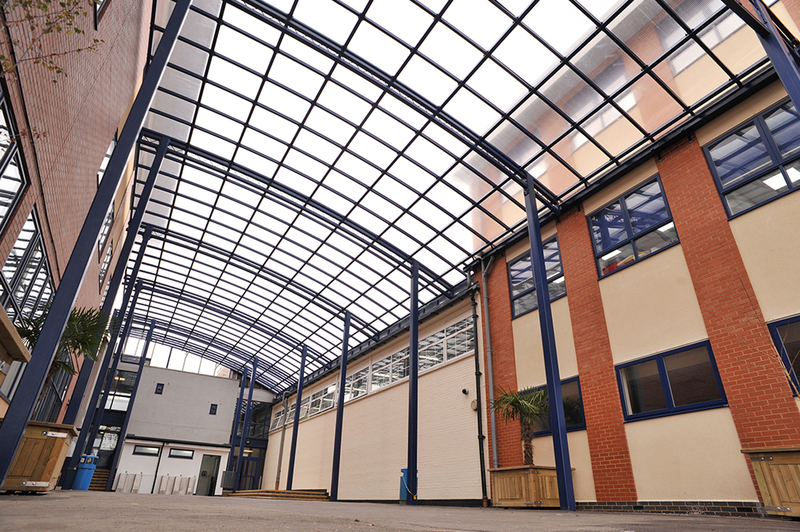 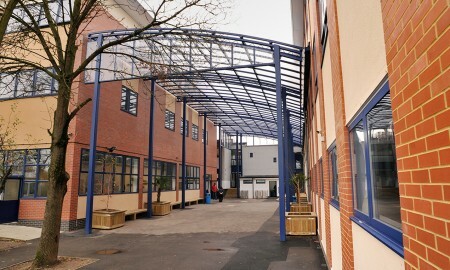 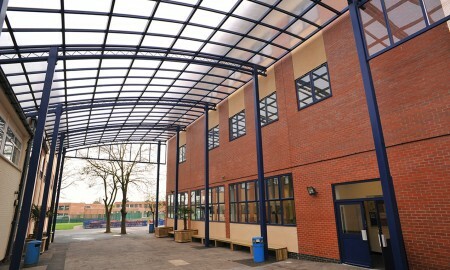 The finished result is a dry vibrant covered area which pupils and staff alike can relax in.